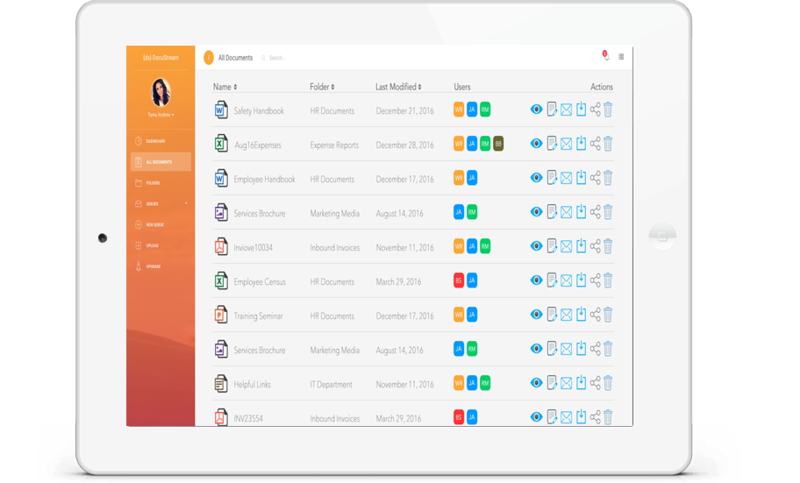 Custom queues, cloud storage, workflow management, user permission groups, and so much more. Scan in documents, create custom queues to key them, put them where they need to be, manage workflows, and more. Send scheduled or ad-hoc custom branded email and text notifications straight from the system. 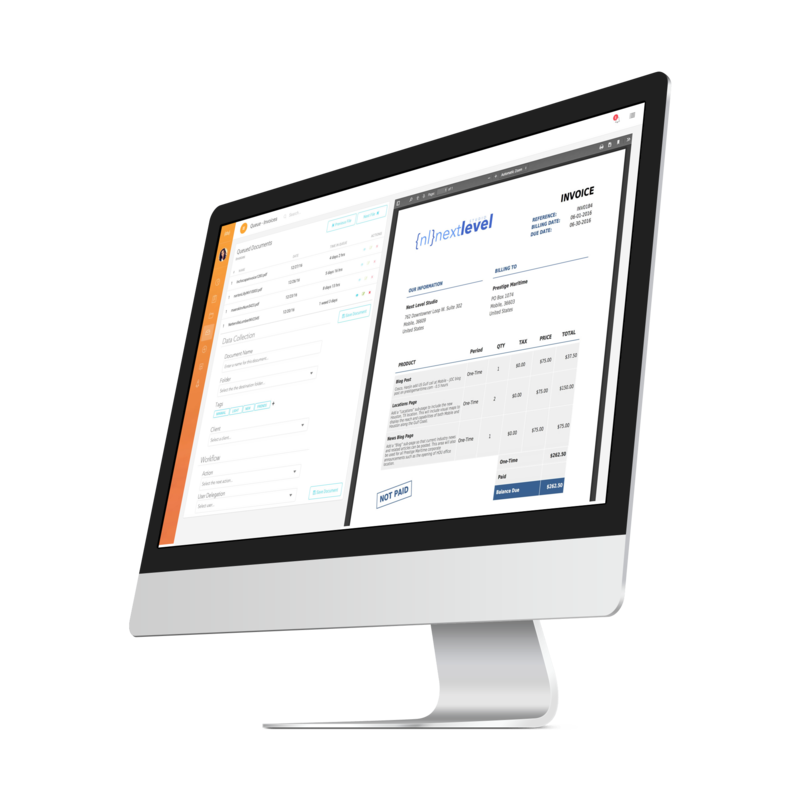 Benefit from pulling advanced reports from your filed data to understand your business operations and strategically improve them. Manage user roles and permission groups to control file access and prevent clutter. 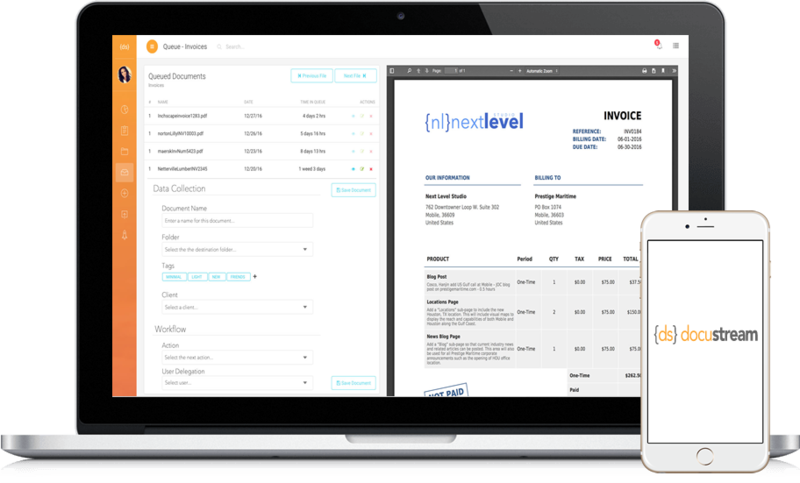 Ditch the room full of filing cabinets and switch to the most advanced cloud-based document management system on the market. 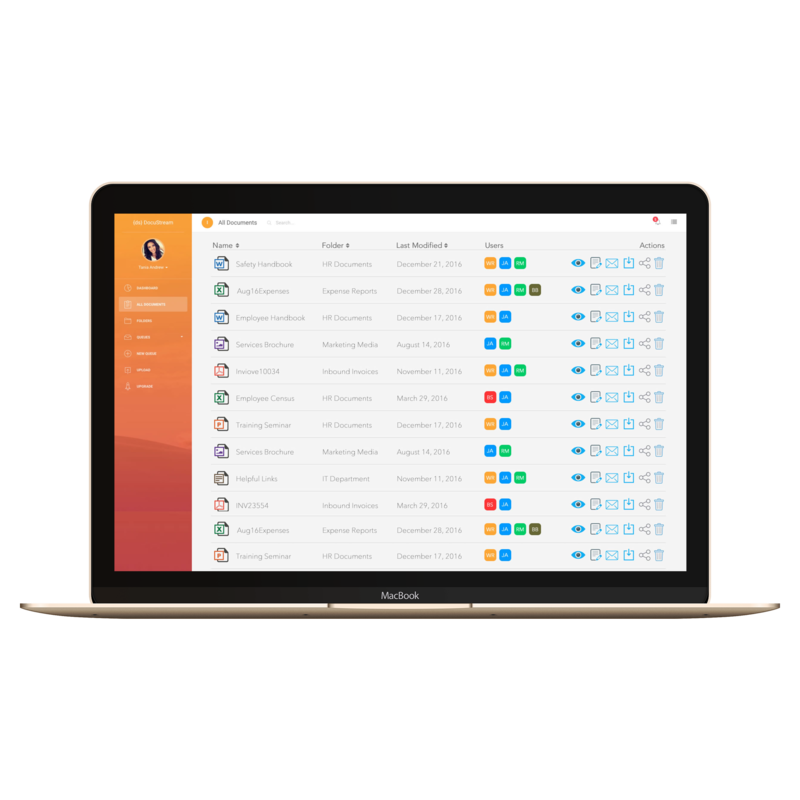 Access your entire room of filing cabinets from anywhere in the world with an internet connection. Give each of your internal processes its own custom queue in order to streamline your production and focus on growing your business. Our top-tier, redundant, cloud-based infrastructure ensures screaming speeds and the utmost integrity of your business data. In an industry filled with archaic software platforms, Docustream sets a standard for new age tech excellence within the document management industry. Turn every clunky filing process into a well greased machine. Increase production and expand your footprint. Because why wouldn't we? We know that you're on the go, so we made Docustream mobile friendly. Our fully native mobile app is almost ready. Our app will allow you take advantage of many native mobile features like push notifications and so much more. Access your account from anywhere. Never worry about backing up precious business your data again. We know you are constantly on the move. Go mobile with Docustream and the Docustream mobile app! We’ve made the operations side easy. This saves time allowing you to focus on growing your business. All of Docustream’s features and benefits allow you strategically make the next, most profitable moves. We are constantly sending out helpful tips and industry news to help keep your business booming! 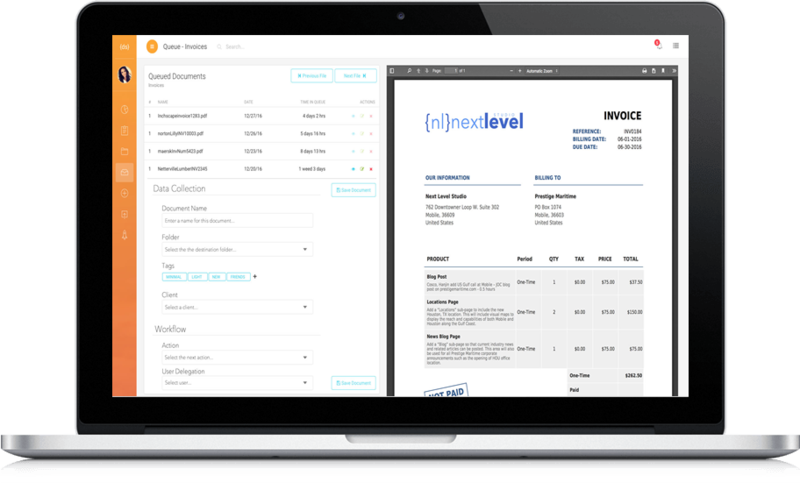 We’d love to show you the whole Docustream system and everything it can do for your business. © 2017 Docustream. All Rights Reserved. Docustream is a product of Next Level Studio.